Roulette is a simple game. The dealer, also known as a croupier, spins a ball over a wheel with 36 numbered slots and two zeros (for American roulette). The slot the ball falls into is the winning number. Gameplay is simple at face value, but winning at roulette isn’t so simple. The casino only pays 35-1 for a bet on a specific number. If casinos paid true odds they would offer a 38-1 return on a roulette number wager. The probability of getting a winning number on a single roll is 2.63%. The casinos have a 5.26% house edge on a single number wager in roulette. In fact, that’s the house edge the casino has for most wagers in roulette. That’s quite a large advantage for the casino and players have been trying to find the perfect system and strategy to beat roulette for years. 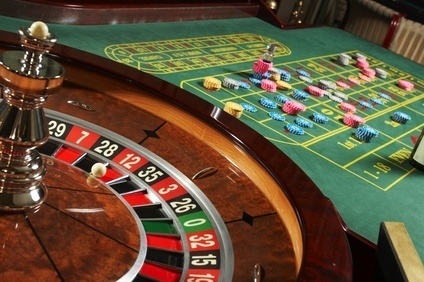 The Martingale is probably the most famous betting system when it comes to roulette. It’s popular because it’s possibly the most simple betting system around. The player just has to double a red or black wager until they win. Once the player hits a winner, they begin decreasing the wager back to the starting bet. The Martingale can help extend winning streaks and help grow your bankroll. On the other side a prolonged losing streak could break your wallet if there isn’t enough of a bankroll to handle the bad streaks. Some roulette players prefer the Reverse Martingale because of its positive progression. This system uses winnings to create more winnings. While the traditional Martingale increases wagers after a loss, the Reverse Martingale increases wagers only after wins. The Reverse Martingale should only be used with even money wagers like red or black so the player will only be doubling that single type of wager. The D’Alembert strategy is similar to the Martingale system in that it works on a negative progression. Players like this system because it doesn’t involve such large investments when the game hits a cold streak since it isn’t a double-after-a-loss strategy. When using the D’Alembert strategy the player will increase wagers by one after a loss and decrease them by one after a win. The theory behind this strategy is that once the player has as many wins as losses, his or her bankroll will be positive based on how many wagers were placed. 1 – 1 – 2 – 3 – 5 – 8 – 13 – 21 – etc. 1+1 = 2 and 2+1 = 3 then 3+2 = 5 and so on. Now that we understand the methodology of the wagers let’s look at the implementation of this even money (red or black and even or odd) wagering system. This negative progression system is slightly less stressful than the Martingale because the player doesn’t double each wager. The system allows for less risk as a losing streak occurs. However once a wager is won the player must remember the theory and decrease the wager by two steps. In the example above when the 21 wager is a winner the player will start the system again from the 8. Unlike blackjack and poker, there isn’t one perfect roulette strategy. A roulette strategy is based on maximizing wagers, not perfecting gameplay.